Earlier today before I sat down to write this column, I finished another run through of XCOM 2: War of the Chosen on my Xbox. While I already went through the game on PC, I wanted to give the Xbox version a try and aside from some performance issues, especially in missions that involved the zombie-like Lost, it was the same XCOM that I originally played on my previous GTX 960M laptop. I’ll need to give it a try again on the new 1060 to see how well it runs. But one thing I noticed that hasn’t changed at all, and am still glad to see that be the case: the difficulty. I finished the game on Commander difficulty, which is the second to highest that you can play it on (Legend is the highest, or as it was called in the first game, Impossible.) 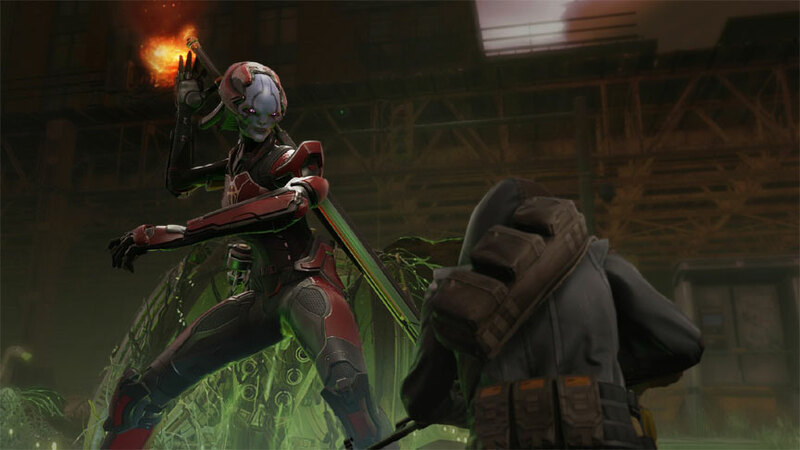 XCOM games were always known for their brutal difficulty, and that is one of the biggest reasons I go back to it. I want a thinking man’s challenge, and that’s what XCOM gives me. It doesn’t hold my hand or sugarcoat what it is. 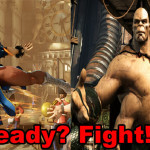 But these days, it seems that difficult games are not what many players want. The past few years we’ve seen how bad even some reviewers are when it comes to the games they are supposed to give their opinion on, and how badly they do it. It’s not new at all. Remember when a certain “insanely greedy network” reviewed God Hand on the PlayStation 2 and gave it a 3 out of 10 when it is now considered one of the PS2’s hidden gems? Even that site added it on their Top 100 PS2 games afterwards! Then again, the same site gave another underrated classic, Double Dragon Neon, a 3 out of 10. As for the reason why? Because the reviewer hates the belt scroller beat ’em up genre! My question is if they knew that person hated the genre and was going to obviously give it a negative review without giving the game a chance, why have them review it? 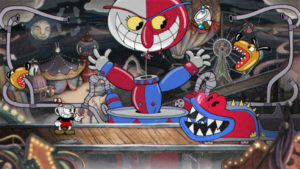 What about Cuphead? 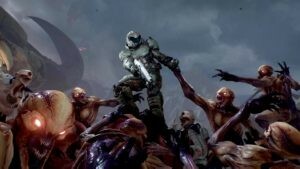 Compared to DOOM 2016, it was a brutally difficult game to play. I still have yet to finish it, but at least it didn’t take me OVER TWO MINUTES to complete the tutorial like another reviewer did. Even with the instructions clearly labeled on the screen he still couldn’t figure them out. Do you all want to know how long it took me to finish that tutorial? FIFTEEN SECONDS! So what’s the latest target of these reviewers who obviously can’t play games right, and makes me wonder how they got their job? It’s From Software’s Sekiro: Shadows Die Twice. 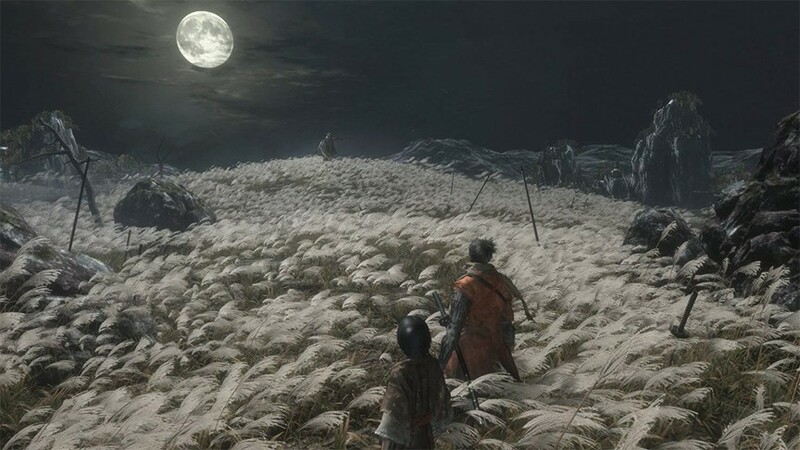 Anyone who knows about From’s previous games, especially the Souls series, knows how difficult these games are, and from what I’ve read, Sekiro is no exception. And you know what that means? That’s right, the same people who cannot get past a simple tutorial are complaining the game is too hard and are now suggesting that games must include an “easy mode” in order to be more accessible to others. Why? Why must every game cater to those who are unable to play it? Once again this shows how this industry does not want to support those who prefer a challenge, and breeze through a game so they can just go to the next one. I’ve already seen some bad claims from these people before, such as how a game should not last so many hours and have a “huge grinding problem” in the end, that they should be done quickly, which also means you get far less value from the $60 you paid. Or also hearing about how new games that come out are looking “too same” to their previous release, yet they insist the game should include a “battle royale” mode, because nothing says new and original than slapping the most overused genre in this console generation to your game. But I’m going off on a tangent as I always do. The point is, not all games NEED to have an easy mode, and Sekiro is definitely one of those games. It worries me that if this game did get an easy mode, would it start a trend of “hand holding” levels being mandatory? 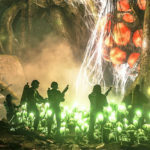 Would even my beloved XCOM series include a story-only difficulty mode? Would all games be beaten quickly in order to get them done faster so people could move on to the next title on their list? People forget about the history of why Nintendo games were made difficult for this exact reason. The term “Nintendo hard” was coined because their games were made much more difficult in response to game rentals in the US (rentals were illegal in Japan) and they wanted to make sure customers bought their games in the end to finish them. 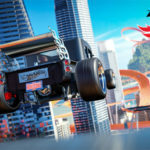 Granted rentals aren’t as big an issue as they are here with the exception of Gamefly, but in an era of subscription services such as Xbox Game Pass, PlayStation Vue and the upcoming Google Stadia, will they still want games to mandate an “easy mode?” I don’t think that’s going to work out well, folks. 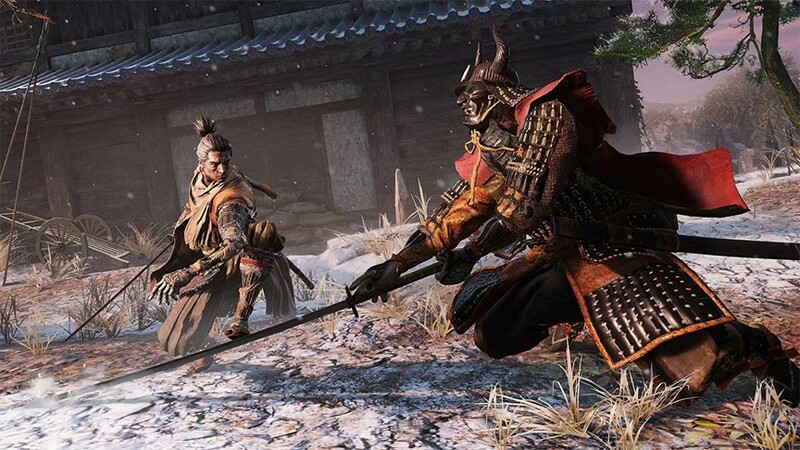 I was able to download Sekiro on my PC via Steam, but have requested that I not be the one here at GiN to review it, since I have no experience in any of From’s other games. I want to make sure the game gets a fair review from someone who is familiar with the series, and you can check out Vincent Mahoney’s review of Sekiro: Shadows Die Twice right here. He was obviously the right person for the job, as he has deep experience with the Souls series and other From Software titles. He even mentions how he is close to getting his first Platinum token this year with Sekiro, certainly a badge of honor. He does mention that the game is not for everyone, warning those who don’t want a very difficult challenge to stay well away. I think it is because of phone games and the rise of the casual gamer who have certain expectations like not being too hard to learn, quick and easy levels, and the ability to put it down on a moments notice. I would never review a sports game, not a fan, but I’ve been playing Xcom since ’95, and many Microprose games before that. I could talk for hours about those. Maybe if the lines between the genres were a little clearer? I’m also tired of the whining about games being too hard. Not every game is for everyone and that’s just fine. One of my biggest arguments against easy mode is that it kills “water cooler” conversations about the game. I had this happen talking with someone about Dark Souls once. They told me they used a guide to get through the game and it made it hard for us to talk about it because he couldn’t share in the experience of overcoming certain bosses and trying out different strategies. Easy mode is kinda the same because it provides a different experience that doesn’t allow players to share in their triumphs together. I really don’t understand why a game having an easy mode should affect you in any way. If you like hard, play hard and let others play easy, if the devs want to include that and allow people to play their game for reasons other than “beating” the game. Of course you’re also both ignoring the issue of accessibility. Easy mode offers access to people who may not be able to play on hard mode for physical reasons. Why would you want to stop someone with a disability from playing a game? It doesnt impact you in any way! Just live and let live. This whole argument is so disappointing and just looks really insular. It’s really that I’m against the call for an easy mode in games that were never designed with different difficulty levels in mind. I feel like it dilutes the experience of the game and the shared experience that players have conversing about them, which is what I was talking about in my previous comment. I also believe that not all games are, or should be, made for everyone. As for the whole disability argument. It seems like something that some reviewers lacking in the skill department are hiding behind. They appear to be using it not because they actually care about bringing awareness to the issue, but rather as a way to deflect from their own lack of skill. 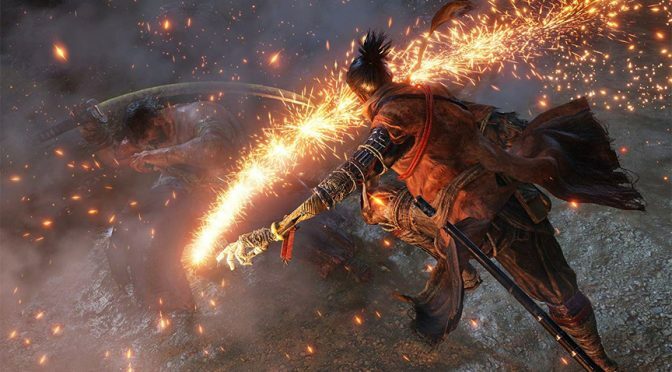 You may have already seen it, but there’s a video of a disabled individual beating one of the more difficult bosses in Sekiro. The player specifically made that video to show that those with disabilities can still be good at the game. Personally, I take his view on the subject to be more important than the opinions of those without disabilities. How did I know you’d call up a video of a disabled person in hard mode? If a developer decides to add an easy mode, surely that’s fine. Hard mode isn’t removed. 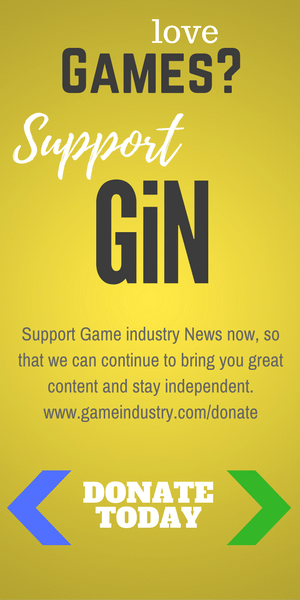 The only impact it has is that more people can say they’ve played a game you don’t think they’ve deserved to finish. You’re policing other people’s access to fun in certain games. The fact that you think journalists are hiding behind disability because they can’t play games is just beyond comment. At this point I’m out.